12 beautiful loose cut roses wrapped in cellophane with greenery and a bow. Color will vary depending on current availability and designer's choice. 12 beautiful roses arranged in a vase. 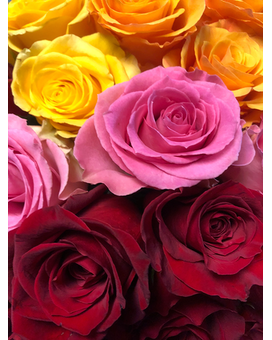 Rose color, filler and vase will vary depending on current availability and designer's choice. 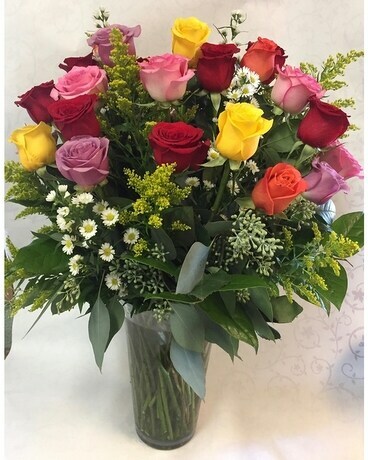 24 beautiful roses arranged in a vase. 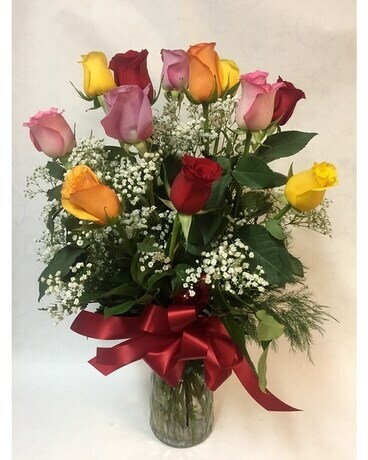 Rose color, filler and vase will vary depending on current availability and designer's choice.